When designing the water supply to a country house, you should take into account all the nuances of this work, namely, the system to which you will connect, the correct choice of the route for laying communications, and which pipes are better for the water supply system. From the correctness of all decisions depends on the quality of the entire water supply system. For the supply of water on the market there are several versions of pipes, which in their own way stand out with both positive and negative qualities. But for carrying out the water mains, you need to choose one type, taking into account all the parameters from price to quality. Metal pipes are rightfully considered to be "veterans" of the water supply system. In Soviet times, they were installed in all new buildings. Today, developers have switched to another material for the pipeline, and the owners of old apartments are trying to completely change the pipeline from steel to modern material. 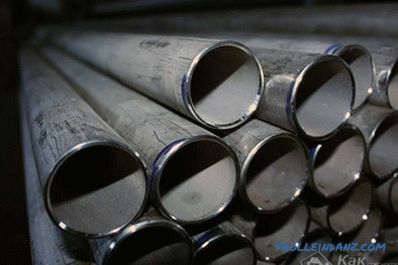 Steel pipes withstand great pressure in the system, have a diverse choice of connections (although in many cases they are joined by electric welding) and are inexpensive. Corrosion is the main problem of steel pipes. Moreover, it is formed both outside and inside the water supply system, and only complete replacement can cope with this problem. Installation of such a water supply system can only be carried out by specialists with the availability of equipment. These pipes significantly squeezed metal from the building materials market . Thanks to their refined appearance, they became a real fashion explosion in the 90s. Against the background of old sovok toilets and baths, with rust leaks, metal-plastic pipes looked gorgeous. And at first they did not even try to hide them, but mounted directly on top of the tile. The declared service life from 25 to 30 years. Easy installation and complete absence of corrosion are the main qualities that make the consumer pay attention to this option. 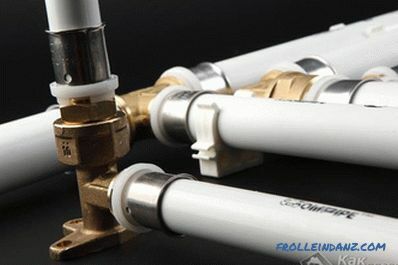 Plus, a large variety of fittings and connections will allow you to easily lay water in the most inconvenient places. If you drop something heavy on the pipes (for example, a basin with dirty clothes), they can escape from the attachment or connection. 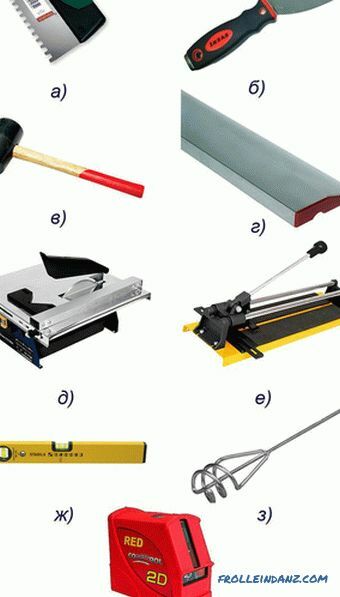 In addition, they have a certain cycle of overheating, and after a while, the fittings of the connections will have to be tightened to prevent leakage. With existing shortcomings, metal-plastic pipes are considered the most advantageous option for water supply in terms of their cost. Such pipes are distinguished by high cost and in the private plumbing are rarely used, but their quality is also at the proper level. Manufacturers guarantee the smooth operation of copper pipes for 70 years. 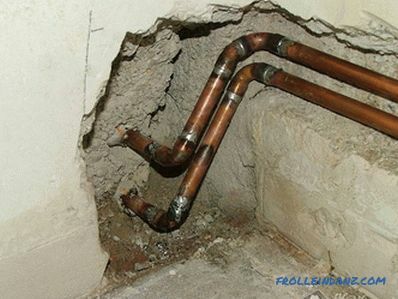 The spectacular appearance of copper pipes is well complemented by bactericidal properties. 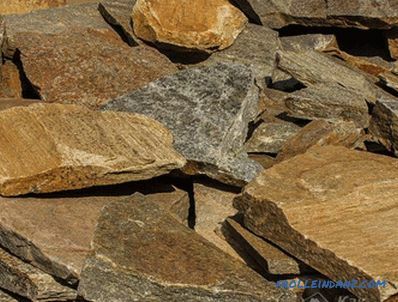 The water passing through them does not form harmful substances, which is important for humans. In principle, copper is a metal and copper water pipes as well as steel pipes are able to withstand a sharp pressure drop. On service life they have no equal, and resistance to deformation only complements the positive aspects of this material. No matter how good the copper pipes are, their cost frightens the average consumer. In addition, a small selection of fittings and the need for special equipment for installation, will allow only experts to mount them. If you decide to bet on the durability of the water supply system, and are ready to pay a round sum for the material and work, then copper pipes are an option for you. Or more simply - from stainless steel. 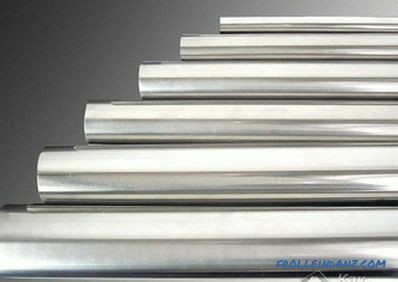 When using this type of pipe for pipelines, you can not worry about pressure drops in the system, since they can withstand a large load, they can be used for the installation of both external pipelines and internal ones. Service life up to 50 years. Like copper pipes, they are not at all afraid of corrosion, and the water passing through them will also not accumulate harmful impurities. The high cost of the work of laying the water supply, as well as the pipes themselves, make the buyer think before purchasing them. 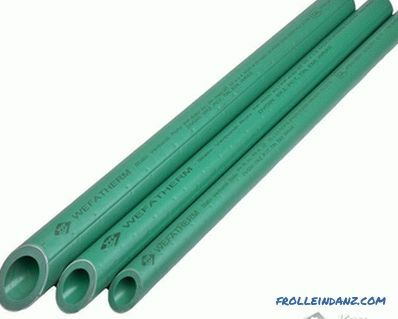 Pipes made of polypropylene , rightly occupy the top line of the rating in the nomination, which pipes are better for plumbing. Durability. Manufacturers give up to 50 years warranty on these pipes. 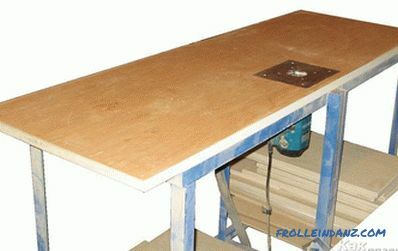 Low weight.Thanks to this quality, the installation process is greatly simplified, which even an ordinary person can handle. Corrosion resistance. As a part of polypropylene pipes there are no metal components, thanks to this they are absolutely not afraid of this problem. 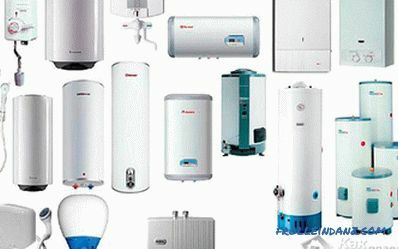 The choice of pipes for water supply is influenced by many factors: the chemical composition and temperature of the water, the length of the line and the pressure in it, and most importantly the price. 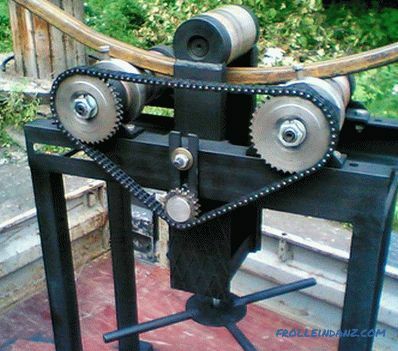 And before making a choice in favor of these or other pipes, you need to weigh all the components correctly.